With the recent popularity of diners, drive-ins and dives (we can thank food personalities like Guy Fieri for that) visitors and locals are really seeking out local “mom and pop” restaurants in Baton Rouge. Nestled back in a quiet retail strip off Florida Blvd, you might not notice one of the best hidden gems of Louisiana’s Capital City. 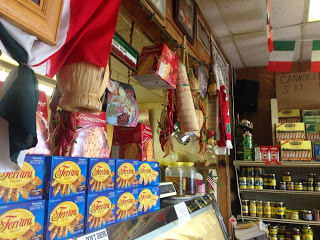 Anthony’s Italian Deli is the oldest Italian deli in Baton Rouge boasting authentic homemade cuisine for over 30 years. This small deli is charmingly cozy and the staff does their best to make you feel as if you are part of the family. I’m from a big Italian family myself and stepping into Anthony’s feels like home. 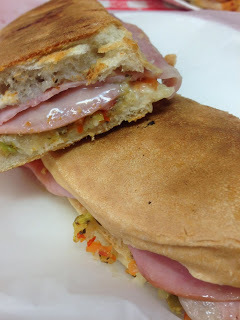 I ordered their “claim to fame,” the Muffaletta, loaded with mortadella, ham, Genoa salami, capicola, Provolone cheese and their famous olive dressing all on pressed po’ boy bread. It was delicious and I was glad to see they offered a smaller version! I also brought along two friends so we could sample each other’s sandwiches. One ordered the homemade meatball po’ boy with melted Mozzarella cheese and homemade tomato sauce and it was incredible! The meatballs are sliced lengthwise so you get a little meatball in every bite without losing it on the floor. 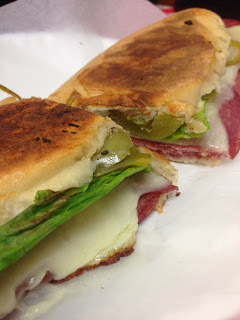 We also had the Godfather, our favorite, which included American prosciutto, Genoa salami and Provolone cheese topped with romaine lettuce, homemade marinated peppers and special dressing. The peppers give this sandwich the perfect tangy flavor to compliment the quality meats and cheeses. We enjoyed our quick lunch at one of the five tables in the deli and laughed with the owner’s son who, like any good Italian, strongly encouraged me to finish my sandwich! Still looking for the real deal? Fugettaboutit and head to Anthony’s for a casual lunch that is sure to please! Ciao! 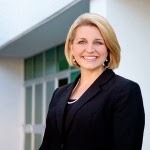 Katie Guasco is the Director of Communications for Visit Baton Rouge. She’s been a Louisiana girl her whole life! You can find her tweeting, facebooking, blogging, instagramming and much more for us!